Imagine you're sitting on a park bench, and a woman sits next to you. You don't make eye contact; you're simply sharing a park bench. The woman stands up and walks toward a trash can across the park, clearly going to throw away some assorted rubbish. She leaves her purse on the bench next to you. A man comes up and walks off with that purse. How motivated would you be to pursue him or even yell at him? Here's a different scenario. You're sitting on a park bench, and a woman sits next to you. She smiles at you, says hello, and you have a few seconds of small talk. A minute later, before she gets up to go throw something away, she asks if you would please watch her purse for a moment. If a man were to try to steal her purse now, would your response change? Would you chase after him? If you're like most people, you're much more motivated to chase after the thief in the second scenario. Why is that? The reason is because of the psychological principle of commitment and consistency: Once we commit to something – especially if that commitment is verbalized to another human being – we feel an overwhelming need to stay consistent with the commitment. Commitment and consistency is one of the seven principles of persuasion that Robert Cialdini covers in Influence: The Psychology of Persuasion and Pre-Suasion: A Revolutionary Way to Influence and Persuade. My recent post Persuasion at Work touched on the basics of commitment and consistency, but to fully understand how to get the most out of them in the workplace, you are going to need a much deeper understanding. The commitment and consistency principle is one of the most powerful ways to positively influence your employees and create a better work environment for everyone. Although commitment and consistency are two separate psychological rules, they are deeply intertwined. Commitment sets consistency in motion. The two scenarios in the introduction above are actually fictional takes on a real experiment conducted in the 1970s by psychologist Thomas Moriarty. Moriarty's experiment took place on a beach where bystanders witnessed the theft of a portable radio. The overwhelming result was that when asked to watch the victim's belongings, bystanders were much more likely to respond to the theft. This principle is a mental shortcut humans have developed over time. When we make a decision about something, it becomes a psychological reference point for all related decisions going forward. Going forward, our brain will recall how we handled a similar situation in the past and default to the same decision when faced with subsequent similar situations. Staying consistent with a commitment doesn't require any cognitive energy. It's easy and automatic, which is why habits are so hard to break and why establishing new habits (and helping your team do the same) can be relatively easy. In most cultures around the world, consistency is a valued character trait. People want to be seen as consistent. Those who aren't consistent are viewed as untrustworthy, unreliable and irrational. This psychological principle is why we're more likely to stick with a diet if we announce our intentions on Facebook. It's why, once we've stated that we're voting for a political candidate, we ignore all evidence that suggests it might be a bad decision. Once we commit to something, we dig in our heels and stay consistent with that commitment. The principle of commitment and consistency rests on a foundation of alignment. We have a powerful drive to keep our outward actions aligned with our internal beliefs because this is how our brains are wired and because it's socially beneficial. This drive to align our beliefs and actions also stems from wanting to appear consistent to others. This drive is so strong, we will alter our beliefs to say consistent with our actions. Yes, changing our internal beliefs is actually easier for us than changing our outward actions! Someone who is addicted to cigarettes, for example, will probably tell you about a grandfather who smoked his whole life and died at the ripe old age of 98. Believing that smoking isn't dangerous is easier for him than admitting that smoking is a bad decision and breaking the habit. When we don't outwardly stay consistent with a commitment that we've made publicly, we experience the uncomfortable sensation of cognitive dissonance. Remember that the next time someone tells you he voted for a different political candidate than you did. No matter how sound your argument is, he will stay consistent with what he told you and the decision that he made (i.e., the action that he took). For the principle of commitment and consistency to work, however, the commitment needs to be totally self-motivated. Coercion doesn't trigger the same psychological effect. If a person is pressured into making a decision, he won't stay committed to it. The converse is true, though. The more effort is put into making a commitment, the deeper the commitment becomes. This principle is why hazing is so effective for producing a deep commitment among fraternity brothers. The commitment isn't mere stubbornness. 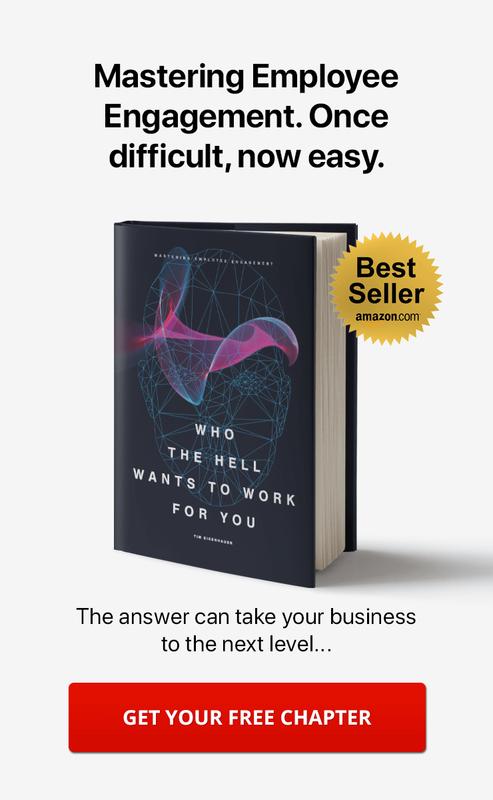 It's a deeply ingrained psychological shortcut to decision-making, and you can use it, mindfully and ethically, to your advantage within your organization to create a more devoted, hard-working team. This is by far the easiest way to trigger commitment (which then triggers consistency) within your team. Think about an issue on which you want to influence an employee, and then ask him to explain to you why he's passionate about it. The verbalizing of beliefs and attitudes on the subject plants the seeds of commitment, and as you've already learned, commitment triggers consistency. Consider this example. You want your employees to update the company knowledgebase more frequently. At your next team meeting, pose the question, "Why do you believe that having a comprehensive and up-to-date knowledgebase is so important?" Once they've verbalized their answers, they're much more likely to believe that updating the knowledgebase is important and follow through on updating it. To really drive this home, the next step you should take is to get your employees to take an action of some kind. You'll remember from my post on persuasion, that the more effort a commitment takes, the deeper the commitment becomes. When your employees don't just verbalize a commitment, but act upon that commitment, their commitment will run deeper. Do you ever wonder why charities are so gung-ho about getting people to sign pledges? This one small action increases the signer's commitment to the cause. Continuing our knowledgebase scenario, you could have your employees sign a pledge to log into the intranet and update the knowledgebase once a week. Better yet, have them sign a pledge and keep a running tally of updates on the whiteboard in the conference room where you hold your team meetings. You can also create a leaderboard on your team intranet page for this. Now that they've verbalized their belief that updating the knowledgebase is important and they've taken action toward that commitment, they're a lot more likely to stay consistent with it. Another way you can trigger commitment and consistency with effortful action is to require that employees apply to join project teams. Don't just assign them to projects, make them work to join the team! Once they've put out the effort, they'll be more committed to the project and invested in the outcome. Your employees have built-in beliefs about themselves. Their role at the company, their place in any groups or organizations they've joined, even their hobbies or their volunteer work form who they believe they are as people. Reinforcement can be a stronger influence than reward. Consider this. When your child does his homework, congratulating him on being a hard worker will have a much greater, longer-lasting psychological impact than simply rewarding him for his current effort. Your child knows the assignment took hard work to complete. Your praise aligns with, and reinforces, a belief he already has about himself: that he's a hard worker. In the future, staying consistent with that belief will be easier for him than going against it. A way to use the principle of commitment and consistency in your workplace is to reinforce what your employees already believe about themselves by giving them dedicated space on your intranet. Create intranet pages (we call these "spaces" within Communifire) for roles, teams, organizations, groups, hobbies, etc., whatever you know your employees will resonate with and get excited about. Then, let your employees know those pages are available to join and engage on, but do it in a way that reaffirms their existing beliefs about themselves. Take the example of a page you have created for employees who participate in company food drives. One way you could present it is, "If you're the kind of person who loves helping those in need, you'll want to join this page." What does this do for your team? It deepens their commitment to the company and increases their engagement with your organization. IIf you've read any self-help book, ever, you likely know the power of affirmations. These spoken statements program your mind to believe something, and when used mindfully, can help you make positive changes in your life. My post on persuasion shows how having your employees write work-related affirmations for themselves can help create positive behavior shifts. These affirmations should be different from typical quarterly goals by being personal to the employee. You can take this practice one step further for even greater results. Have your employees state their affirmations at the beginning of every staff meeting. Public commitments create more lasting change for individuals. When we publicly state an intention, we are much less likely to change our minds later. Remember, believing that we're consistent is not enough. We want other people to believe that we're consistent, too! The "foot-in-the-door" technique is a great one to use in building commitment momentum that leads up to a "big ask" over time. The concept is simple. You get your foot in the door with a small request to which saying, "Yes," is easy. This small commitment triggers the rule of consistency, making saying, "Yes," easier to subsequent requests. Marketers do this all the time by offering free webinars. While a lot of free content gives value up-front and triggers the reciprocity principle, a webinar (or any demonstration, for that matter) is a different beast. It requires a commitment of time. The way the human brain works is pretty amazing. Spending an hour in a webinar is a commitment, and that commitment makes us much more likely to stay consistent with the commitment and buy the product in the future. Getting that first commitment, no matter how small, from your employee is like knocking over the first domino. With one commitment, you have changed how your employees see themselves. All you need to do after that is give them more opportunities to stay consistent with their new self-image. 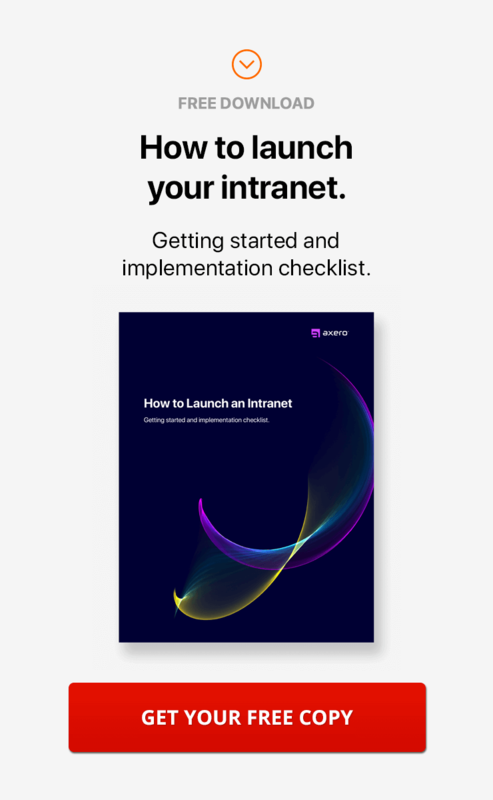 Let's say you want to get everyone using the intranet for as many tasks as possible. 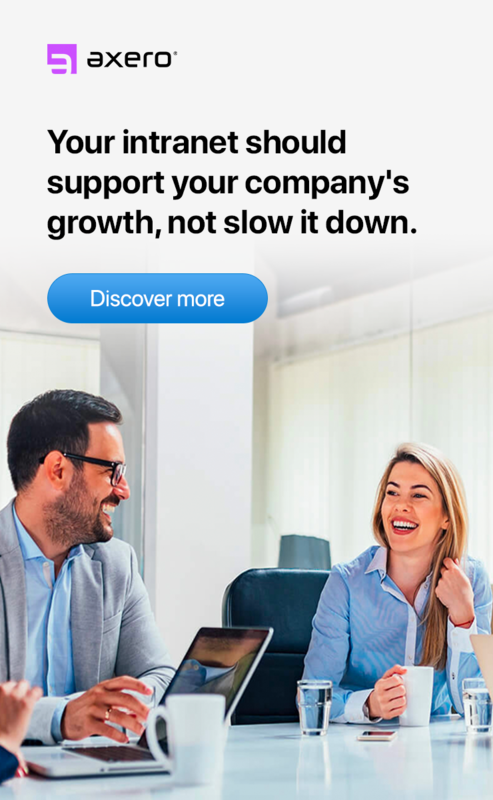 You know employees can use it to communicate with one another, share information, track issues, manage projects and even handle their benefits paperwork. 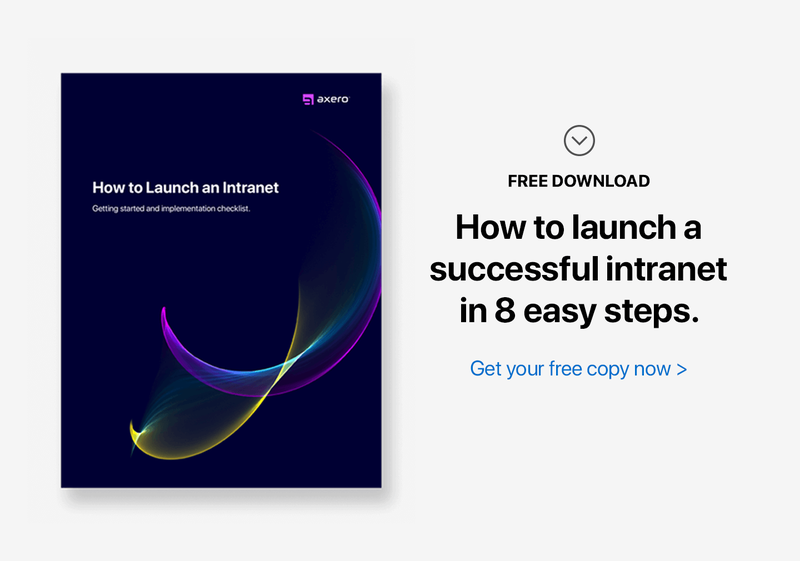 Unfortunately, you've encountered resistance in getting your team off of the 10 different tools they're using (not to mention the hard copies they're still relying on) and onto an intranet solution. What should you do? You get your team members to make a series of commitments starting with a very, very small request. You ask them to answer a simple question on your team page. Then, you ask them to fill out their user profiles. Then, you move projects off of your old project-management software and into the intranet, and ask people to communicate about the project there from that point on. Getting your employees to take action of any kind will deepen their commitment. If the action is more challenging, you will get a bigger impact. You don't have to start with a huge challenge, though. You can start by asking for a small commitment and then ask for another and another, until you've got your team consistently acting toward your bigger goal. What commitment do my employees need to make to buy into this idea? What commitment do they need to break to start taking this action consistently? What commitment have they already made that, if continued, will spur the right action? Congratulations! You have now reached Commitment and Consistency Master Level. The next installment in the Persuasion Master series, will teach you how to use the social proof principle to lead by example.